Richmond tour company Discovery Richmond has launched its 2018 tours programme of scheduled guided walking, cycling and boat tours around Richmond, Twickenham and Kew, also covering Brentford, Kingston upon Thames and Hampton Court Palace. Private custom tours with a personal guide are available all year round for groups and individuals. All scheduled tours can be booked online at www.discoveryrichmond.com/booking. All prices include booking fees. For more information please telephone 0203 397 2797 or email: info@discoveryrichmond.com. Highlights: This easy-paced circuit from Richmond station takes in Richmond Green and the old royal palace remains, elegant riverside, famous views from Richmond Hill and King Henry’s mound in Richmond Park, Petersham Meadows, returning along the riverside to Richmond. Optional visit to Ham House. Highlights: Pass the restored retreat of Britain’s greatest landscape painter J.M.W Turner, the home of a royal mistress, see magnificent riverside views and mansions including the refuges of French royal exiles, meet the ‘Naked Ladies’, see quirky Eel Pie Island the home of rhythm & blues and Twickenham’s classic Thames waterfront where the walk finishes. Richmond & Twickenham Riverside Walk Date: Sunday 17 June, Sun 9 September 2018. Time: 10.30-13.00. Meet Richmond station. Cost: Adult £14; Senior/student ID £13; under 16 £12 (includes Thames ferry crossing). 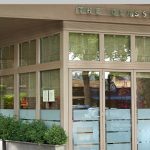 Highlights: Meander along the most picturesque stretches of the Thames in London on a leisurely guided walk of Richmond & Twickenham riverside, crossing the Thames by foot ferry in front of historic Ham House. The tour covers royalty, rock stars and wildlife. See the remains of a former royal palace, the home of a king’s mistress, magnificent riverside views, the refuge of French royal exiles, meet the saucy ‘Naked Ladies’ and see quirky Eel Pie Island, the home of rhythm & blues. We finish at Twickenham’s classic Thames waterfront and the pubs and restaurants of picturesque Church Street. 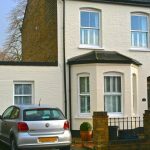 Kew & Brentford Walking Tour Date: Saturday 23 June, Sat 11 August & Sat 22 September 2018. Time: 11.0-14.15. Meet Kew Green (St Anne’s Church). Cost: Adult £18; Senior/student ID £17; under 16 £14. Highlights: Cross the Thames from elegant Kew to post-industrial Brentford on a guided walking tour of variety and contrast, extraordinary history and sublime scenery. Criss-cross rivers, locks, canals and creeks. The walk starts at Kew, crosses Kew Bridge to explore Brentford’s industrial heritage and on to historic Syon Park and picturesque Old Isleworth before re-crossing the Thames at Richmond Lock to explore the old Richmond palace site, finishing at Richmond Riverside with its food market, cafes, pubs and restaurants. Highlights: See many of the wider Richmond area’s top attractions at handle bar level on this fascinating and easy-paced day out. Experience a microcosm of British history and heritage, the rustic charm of open parklands, picturesque riverside and even part of the London Olympics 2012 cycling route. Cycle past Richmond, Ham House, Teddington Lock, Kingston, Hampton Court Palace, Strawberry Hill House, Twickenham, Eel Pie Island and Marble Hill House, all linked by royal deer parks and the magnificent Thames riverside. Highlights: Easy pedalling and suitable for even the most occasional cyclist. This flat, short distance ride follows a leisurely 3-hour circuit, with lots of stops along the way for talks, photos and a coffee break. Experience a microcosm of British history, royal and architectural heritage, picturesque riverside and even part of the London Olympics 2012 cycling route. Pedal past Richmond Green and the Old Palace remains, the villas of Twickenham riverside, Teddington Lock, historic Ham House, Petersham Meadows and return along Richmond riverside beneath the capital’s oldest bridge. Highlights: Explore one of London’s most attractive boroughs with a short guided walk followed by a relaxing boat trip to Hampton Court Palace, via Teddington Lock and Kingston. 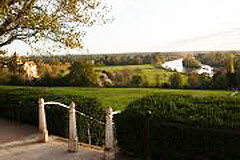 The Richmond walk includes elegant houses, the Old Palace remains and famous riverside. Then follow the route of monarchs and courtiers along the Thames to uncover 500 years of history at spectacular Hampton Court Palace. Your self-guided audio tour of the Palace takes you around the Great Hall, Chapel Royal, State Apartments, King Henry VIII’s kitchens and more. Return by boat, train or bus. Highlights: Discover two of London’s most attractive boroughs with leisurely guided walks around Richmond & Kingston, linked by a boat trip along the Thames passing through Teddington Lock. See the remains of Richmond’s old royal palace and where medieval knights in armour jousted. Then stroll along the beautiful riverside for a relaxed river cruise to the ancient market town of Kingston where seven Saxon kings were reputedly crowned. A guided walk will show you the highlights – and then there’s the historic market, shops, riverside pubs and restaurants. Stay on for dinner or a drink by the riverside and return by boat, train or bus.